Craft beer acqusitions continue to roll, this one staying within the Northwest. Odin Brewing Co., of Tukwila, Wash., acquired Hilliard’s Beer of Seattle. According to the press release, Odin will take over all of Hilliard’s brands, intellectual properties and operations. Some of the brewing equipment will be moved from the Hilliard’s Beer facility in Ballard to Odin Brewing’s location in Tukwila. The existing Hilliard’s brewery and taproom in Ballard will be put up for sale as a turnkey brewing operation. 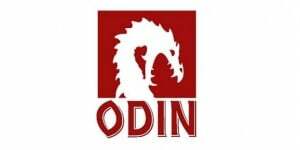 Odin Brewing will take over the day to day production and distribution of the Hilliard’s brands. According to the report, owner and founder Ryan Hilliard has decided to leave the brewing industry after six years and pursue other interests.